The weather here in Paris is absolutely stunning. However, for those who are like me and cannot cope with the unbearable temperatures that accompany such weather, do not fear. Why not escape the intense rays and escape into one of the many covered passages of the city? Located in the second arrondissement, my favourite covered passage is the Galerie Vivienne. 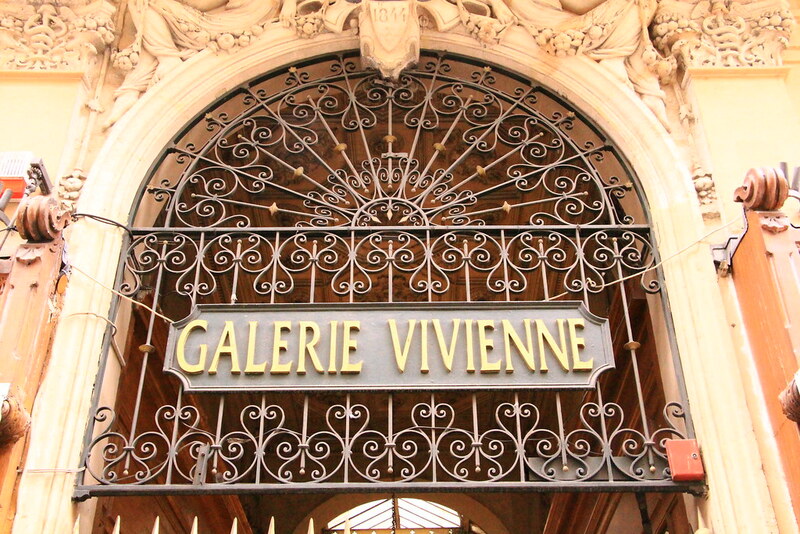 Built in 1823, Galerie Vivienne is situated in a wonderful location – a stones throw away from the Palais-Royal and the Bibliothèque Richelieu. The ornamentation of Galerie Vivienne is splendid. 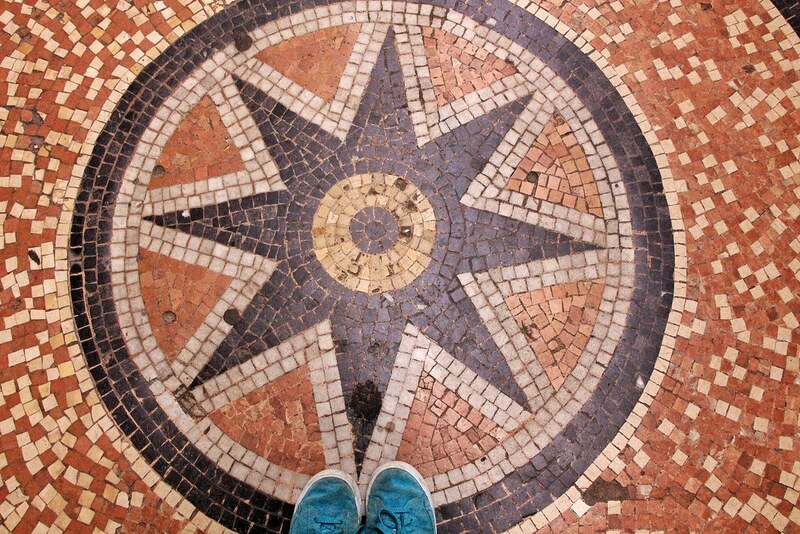 As you walk through the passage, look down and admire the gorgeous mosaic tiling. 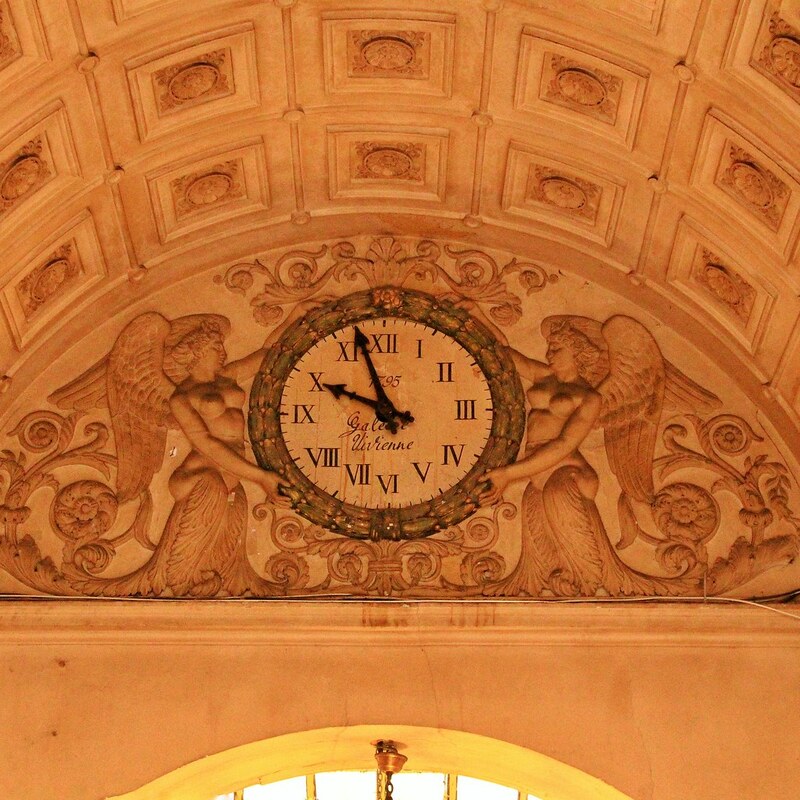 Don’t forget to look up and around – the passage is adorned with interesting decorative designs and sculptures. Also, the entire passage is covered by glass ceiling, including a recently restored rotunda and glass dome adding extra opulence in this almost timeless arcade. 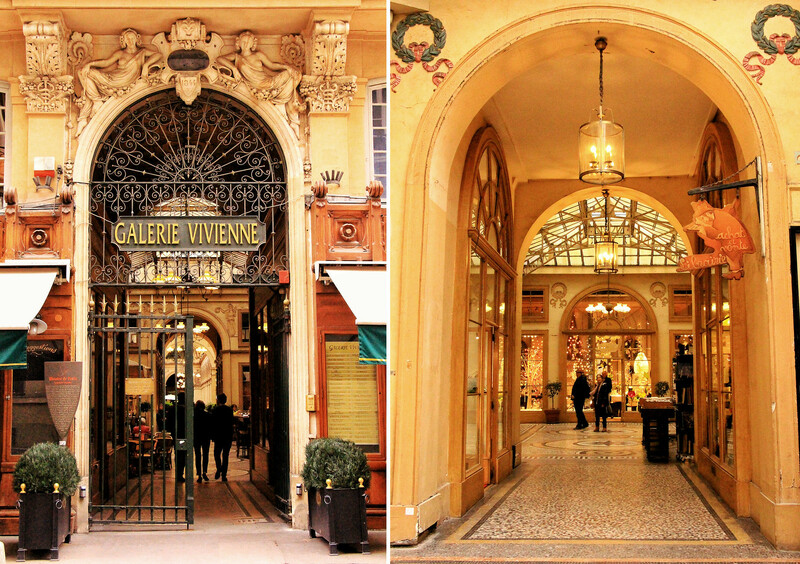 Galerie Vivienne is not only adored for its elegant architecture and decorative designs, but also for it’s shopping. 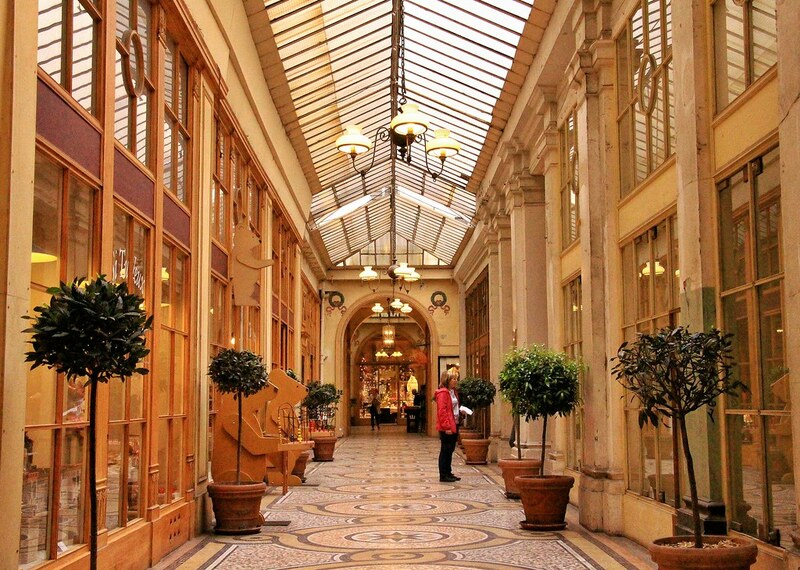 Of all the covered passages in Paris, Galerie Vivienne is recgonised as one of the most luxurious. As you wander through Galerie Vivienne, you can find an array of shops including the wonderful Jusseaume bookstore selling second hand books and more; gourmet food boutiques and a delightful toyshop called Si tu veux; as well as fashion shops including Jean Paul Gaultier and Yuki Torii. I would also recommend taking some time out to people watch, by visiting the A Priori thé where you can sit and relax whilst enjoying many of their scrumptious desserts. So whether you want to escape the summer heat of Paris, or just fancy exploring one of the many hidden covered passages of the city, a visit to Galerie Vivienne is a must.